Olive Garden launches Giant Manicotti and more as part of their new "Big Italian Classics" menu featuring larger than usual pasta. - New Giant Four Cheese Manicotti with Meat Sauce - Oversized manicotti filled with four cheeses, topped with meat sauce and an Alfredo drizzle. 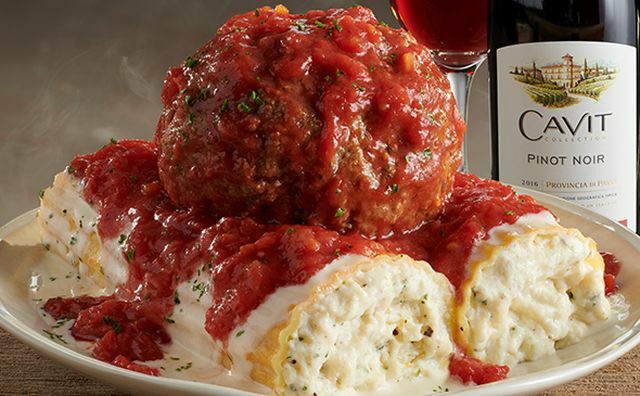 - New Giant Meatball & Four Cheese Manicotti - A jumbo Italian meatball on top of oversized manicotti filled with four cheeses, topped with marinara and Alfredo sauce. - Stuffed Fettuccine Alfredo - Large fettuccine pasta stuffed with Italian cheeses and topped with Alfredo sauce. 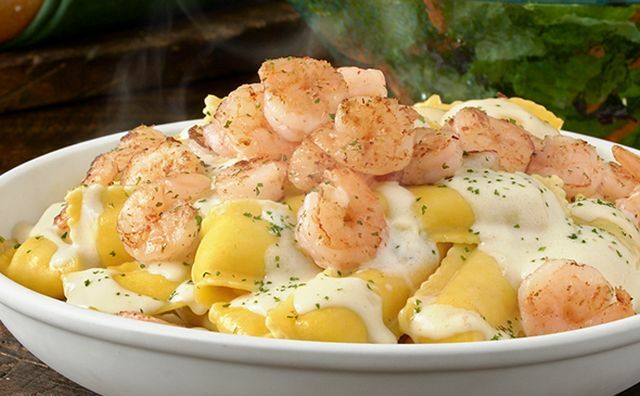 - Stuffed Fettuccine Alfredo with Sauteed Shrimp - Large fettuccine pasta stuffed with Italian cheeses, topped with Alfredo sauce and sauteed shrimp. - Stuffed Fettuccine Alfredo with Grilled Chicken - Large fettuccine pasta stuffed with Italian cheeses, topped with Alfredo sauce and grilled chicken. 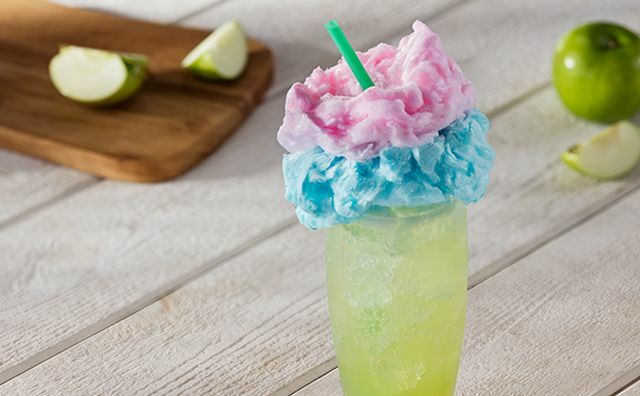 The casual dining chain is also serving a new drink call the Green Apple Fizz which is basically a green apple soda topped with cotton candy.